Son, Y., Yang, M., Kim, J. S., Kim, J., Kim, S. H., Kim, J. C., Shin, T., Wang, H., Jo, S. K., Jung, U. and Moon, C. (2014). Hippocampal dysfunction during the chronic phase following a single exposure to cranial irradiation. Exp Neurol 254: 134-144. Sethna, F., Moon, C. and Wang, H. (2014). From FMRP function to potential therapies for fragile X syndrome. Neurochem Res 39(6): 1016-1031. Yang, M., Kim, J., Kim, J. S., Kim, S. H., Kim, J. C., Kang, M. J., Jung, U., Shin, T., Wang, H. and Moon, C. (2014). Hippocampal dysfunctions in tumor-bearing mice. Brain Behav Immun 36: 147-155. Zhou, X., Ding, Q., Chen, Z., Yun, H. and Wang, H. (2013). Involvement of the GluN2A and GluN2B subunits in synaptic and extrasynaptic N-methyl-D-aspartate receptor function and neuronal excitotoxicity. J Biol Chem 288(33): 24151-24159. Kim, J., Yang, M., Kim, S. H., Kim, J. C., Wang, H., Shin, T. and Moon, C. (2013). Possible role of the glycogen synthase kinase-3 signaling pathway in trimethyltin-induced hippocampal neurodegeneration in mice. PLoS One 8(8): e70356. Zhang, M. and Wang, H. (2013). Mice overexpressing type 1 adenylyl cyclase show enhanced spatial memory flexibility in the absence of intact synaptic long-term depression. Learn Mem 20(7): 352-357. Packiriswamy, N., Lee, T., Raghavendra, P. B., Durairaj, H., Wang, H. and Parameswaran, N. (2013). G-protein-coupled receptor kinase-5 mediates inflammation but does not regulate cellular infiltration or bacterial load in a polymicrobial sepsis model in mice. J Innate Immun 5(4): 401-413. Zhou, X., Hollern, D., Liao, J., Andrechek, E. and Wang, H. (2013). NMDA receptor-mediated excitotoxicity depends on the coactivation of synaptic and extrasynaptic receptors. Cell Death Dis 4: e560. Yang, M., Kim, J. S., Kim, J., Jang, S., Kim, S. H., Kim, J. C., Shin, T., Wang, H. and Moon, C. (2012). Acute treatment with methotrexate induces hippocampal dysfunction in a mouse model of breast cancer. Brain Res Bull 89(1-2): 50-56. Zheng, F., Zhou, X., Moon, C. and Wang, H. (2012). Regulation of brain-derived neurotrophic factor expression in neurons. Int J Physiol Pathophysiol Pharmacol 4(4): 188-200. Wang, H. and Zhang, M. (2012). The role of Ca(2)(+)-stimulated adenylyl cyclases in bidirectional synaptic plasticity and brain function. Rev Neurosci 23(1): 67-78. Zhou, X., Zheng, F., Moon, C., Schluter, O. M. and Wang, H. (2012). Bi-directional regulation of CaMKIIalpha phosphorylation at Thr286 by NMDA receptors in cultured cortical neurons. J Neurochem 122(2): 295-307. Zhou, X., Xiao, H. and Wang, H. (2011). Developmental changes of TrkB signaling in response to exogenous brain-derived neurotrophic factor in primary cortical neurons. J Neurochem 119(6): 1205-1216. Zheng, F., Zhou, X., Luo, Y., Xiao, H., Wayman, G. and Wang, H. (2011). Regulation of brain-derived neurotrophic factor exon IV transcription through calcium responsive elements in cortical neurons. PLoS One 6(12): e28441. Kujjo, L. L., Chang, E. A., Pereira, R. J., Dhar, S., Marrero-Rosado, B., Sengupta, S., Wang, H., Cibelli, J. B. and Perez, G. I. (2011). Chemotherapy-induced late transgenerational effects in mice. PLoS One 6(3): e17877. Yang, M., Kim, J. S., Kim, J., Kim, S. H., Kim, J. C., Kim, J., Wang, H., Shin, T. and Moon, C. (2011). Neurotoxicity of methotrexate to hippocampal cells in vivo and in vitro. Biochem Pharmacol 82(1): 72-80. Seo, H. S., Yang, M., Song, M. S., Kim, J. S., Kim, S. H., Kim, J. C., Kim, H., Shin, T., Wang, H. and Moon, C. (2010). Toluene inhibits hippocampal neurogenesis in adult mice. Pharmacol Biochem Behav 94(4): 588-594. Yang, M., Kim, J. S., Song, M. S., Kim, S. H., Kang, S. S., Bae, C. S., Kim, J. C., Wang, H., Shin, T. and Moon, C. (2010). Cyclophosphamide impairs hippocampus-dependent learning and memory in adult mice: Possible involvement of hippocampal neurogenesis in chemotherapy-induced memory deficits. Neurobiol Learn Mem 93(4): 487-494. Ottem, E. N., Poort, J. E., Wang, H., Jordan, C. L. and Breedlove, S. M. (2010). Differential expression and regulation of brain-derived neurotrophic factor (BDNF) mRNA isoforms in androgen-sensitive motoneurons of the rat lumbar spinal cord. Mol Cell Endocrinol 328(1-2): 40-46. Zhou, X., Lin, D. S., Zheng, F., Sutton, M. A. and Wang, H. (2010). Intracellular calcium and calmodulin link brain-derived neurotrophic factor to p70S6 kinase phosphorylation and dendritic protein synthesis. J Neurosci Res 88(7): 1420-1432. Wang, Y. *, Zhang, M.*, Moon, C., Hu, Q., Wang, B., Martin, G., Sun, Z. and Wang, H. (2009). The APP-interacting protein FE65 is required for hippocampus-dependent learning and long-term potentiation. Learn Mem 16(9): 537-544. Wang, Y., Zheng, F., Zhou, X., Sun, Z. and Wang, H. (2009). Converging signal on ERK1/2 activity regulates group I mGluR-mediated Arc transcription. Neurosci Lett 460(1): 36-40. Zhou, X., Moon, C., Zheng, F., Luo, Y., Soellner, D., Nunez, J. L. and Wang, H. (2009). N-methyl-D-aspartate-stimulated ERK1/2 signaling and the transcriptional up-regulation of plasticity-related genes are developmentally regulated following in vitro neuronal maturation. J Neurosci Res 87(12): 2632-2644. Song, M. S., Seo, H. S., Yang, M., Kim, J. S., Kim, S. H., Kim, J. C., Wang, H., Sim, K. B., Kim, H., Shin, T. and Moon, C. (2009). Activation of Ca2+/calmodulin-dependent protein kinase II alpha in the spinal cords of rats with clip compression injury. Brain Res 1271: 114-120. Zheng, F. and Wang, H. (2009). NMDA-mediated and self-induced bdnf exon IV transcriptions are differentially regulated in cultured cortical neurons. Neurochem Int 54(5-6): 385-392. Kim, J. S., Jung, J., Lee, H. J., Kim, J. C., Wang, H., Kim, S. H., Shin, T. and Moon, C. (2009). Differences in immunoreactivities of Ki-67 and doublecortin in the adult hippocampus in three strains of mice. Acta Histochem 111(2): 150-156. Kim, J. S., Lee, H. J., Kim, J. C., Kang, S. S., Bae, C. S., Shin, T., Jin, J. K., Kim, S. H., Wang, H. and Moon, C. (2008). Transient impairment of hippocampus-dependent learning and memory in relatively low-dose of acute radiation syndrome is associated with inhibition of hippocampal neurogenesis. J Radiat Res 49(5): 517-526. Eckel-Mahan, K. L., Phan, T., Han, S., Wang, H., Chan, G. C., Scheiner, Z. S. and Storm, D. R. (2008). Circadian oscillation of hippocampal MAPK activity and cAmp: implications for memory persistence. Nat Neurosci 11(9): 1074-1082. Zheng, F., Luo, Y. and Wang, H. (2009). Regulation of brain-derived neurotrophic factor-mediated transcription of the immediate early gene Arc by intracellular calcium and calmodulin. J Neurosci Res 87(2): 380-392. Zheng, F., Soellner, D., Nunez, J. and Wang, H. (2008). The basal level of intracellular calcium gates the activation of phosphoinositide 3-kinase-Akt signaling by brain-derived neurotrophic factor in cortical neurons. J Neurochem 106(3): 1259-1274. Moon, C., Kim, H., Ahn, M., Jin, J. K., Wang, H., Matsumoto, Y. and Shin, T. (2006). Enhanced expression of netrin-1 protein in the sciatic nerves of Lewis rats with experimental autoimmune neuritis: possible role of the netrin-1/DCC binding pathway in an autoimmune PNS disorder. J Neuroimmunol 172(1-2): 66-72. Chen, X., Garelick, M. G., Wang, H., Lil, V., Athos, J. and Storm, D. R. (2005). PI3 kinase signaling is required for retrieval and extinction of contextual memory. Nat Neurosci 8(7): 925-931. Wang, H, and Storm, D. (2005). 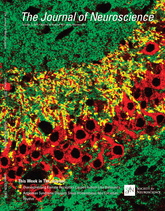 Ca2+-stimulated Adenylyl Cyclases and Hippocampal Neuroplasticity. Cellscience. 2, 73-91.